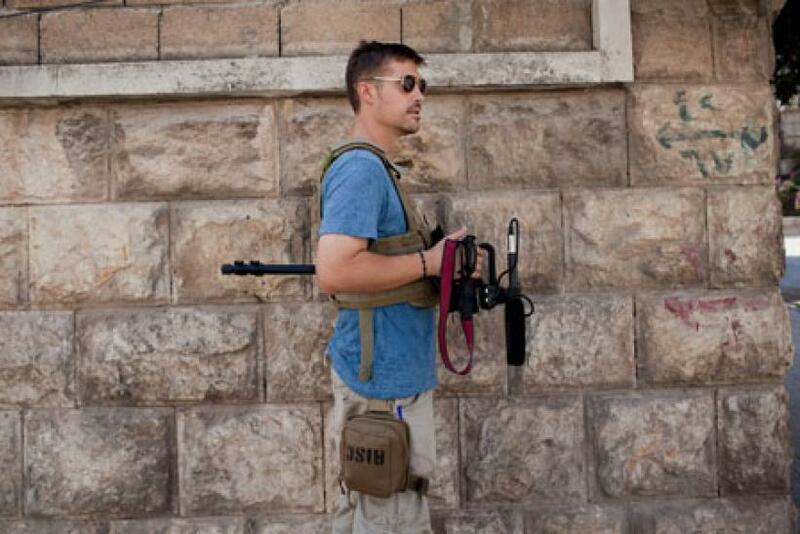 Who Was James Foley, The American Journalist Allegedly Beheaded By ISIS? The Islamic State, formerly the Islamic State of Iraq and Syria or ISIS, chose a brutally effective way to get attention. The group Tuesday released a video that appeared to show the beheading of James Foley, the American photojournalist kidnapped in Syria more than 600 days ago. After his abduction on Thanksgiving Day, Nov. 22, 2012, a campaign -- “Find James Foley” -- was started to bring the New Hampshire native home. Foley was a freelancer working in conflict zones around the Middle East, including Syria, Libya and Iraq, the Associated Press wrote in 2013. At the time of his capture in 2012, he was contributing videos to Agence France-Presse from Syria. "He is a professional journalist who is absolutely neutral in this conflict,” the news agency quoted its chairman, Emmanuel Hoog, as saying in January 2013. AFP said it was doing all it could to secure Foley’s release at the time. Foley was also a contributor to the Global Post, which spent "many, many, many hundreds of thousands of dollars" to find him during his first six months in captivity, Boston public radio station WBUR reported. In May 2013, the Global Post reported it "believe[d] the Syrian government is holding [Foley] in a detention center near Damascus," a determination reached after "a five-month investigation inside Syria and the wider Middle East." The news organization's co-founder Charles Sennott told ABC News Tuesday there is "no reliable proof that this execution is authentic" but "if the video is verified, it is just unfathomable darkness to think that a life as bright as Jim Foley's ended that way," Sennott said. "He was an experienced and fearless journalist who believed deeply in reporting from the frontlines." As of Tuesday evening, U.S. intelligence officials had not confirmed the authenticity of the alleged execution video. The “Free James Foley” Facebook page cautioned its followers to “be patient” until more information was provided. The family of Austin Tice, a freelance journalist also kidnapped in Syria in 2012, issued a statement of condolences to the Foley family: "The last 635 days, we have had to share a horrible nightmare, which has made us close to the Foley family and our heart goes out to them. We pray eternal rest for James' soul and comfort and peace for his family." Foley attended Northwestern University's Medill School of Journalism. "Everybody, everywhere, takes a liking to Jim as soon as they meet him," fellow journalist Clare Morgana Gillis wrote six months after he was kidnapped, CNN reported. Before he worked in journalism, Foley worked as a teacher and mentor among disadvantaged youth. He was the oldest of five children.